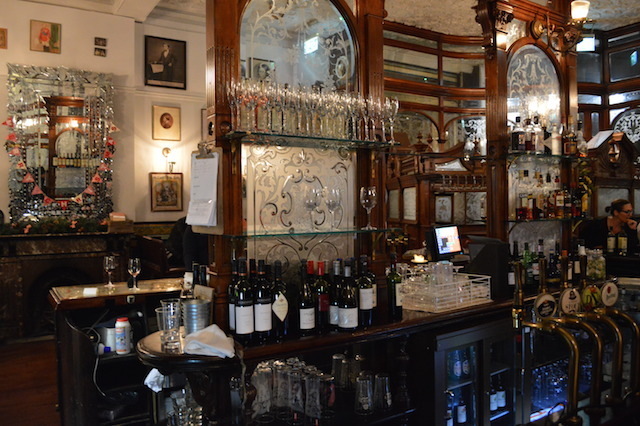 If this pub were in the centre of town, it would be included in every single tourist guide. 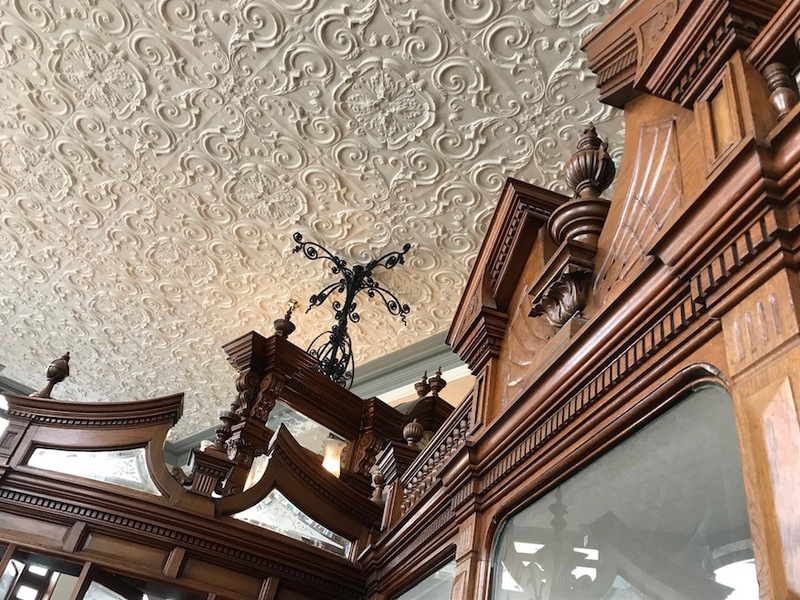 If you're familiar with the exuberant gin palace interior of the Princess Louise in Holborn, then this is its even more flamboyant little brother. 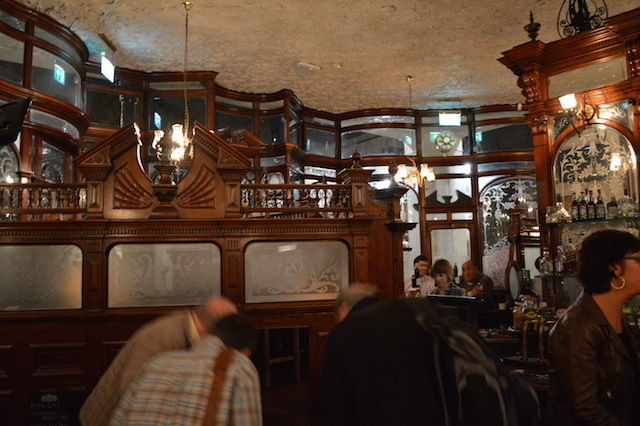 If you thought that The Lamb in Bloomsbury was the only pub with 'snob screens', then think again. 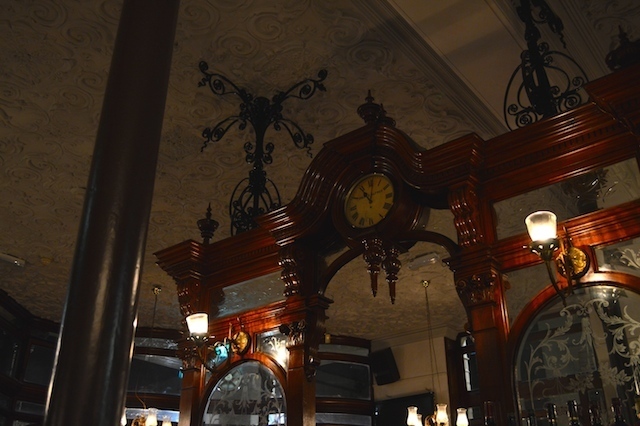 The Prince Alfred is a joy of late-Victorian craftsmanship, all mahogany and etched glass. 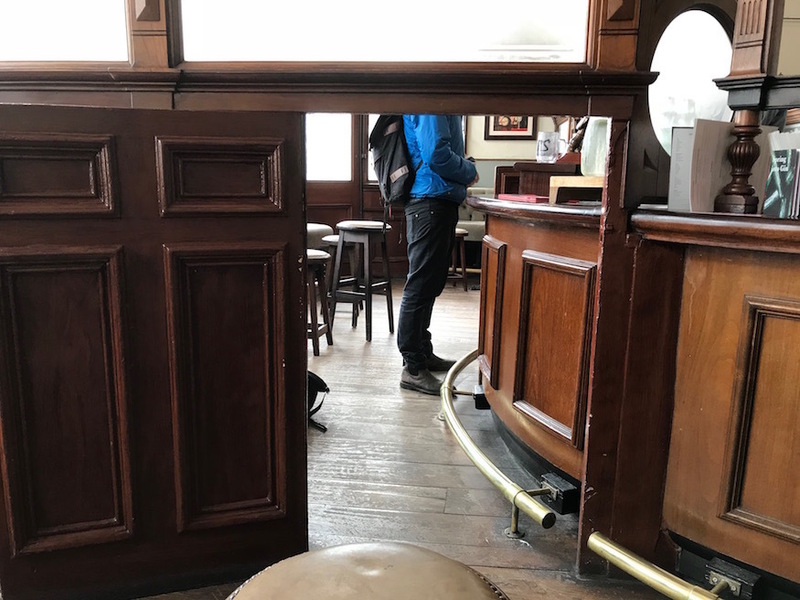 Segregated drinking areas are separated by partitions, and you must stoop low to manoeuvre between them (here, you'll be reminded of the John Snow in Soho). 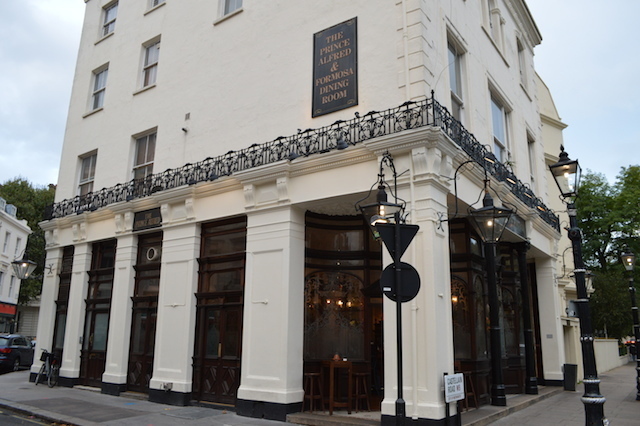 Ale fans will be relieved to find that, despite its appearance, this pub is not ran by the Sam Smiths chain who own so many of these grand old buildings. 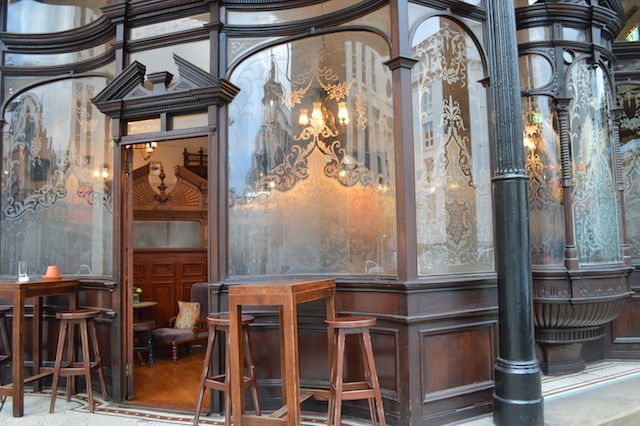 That means you'll find three or four ales on draught from the Young's range. 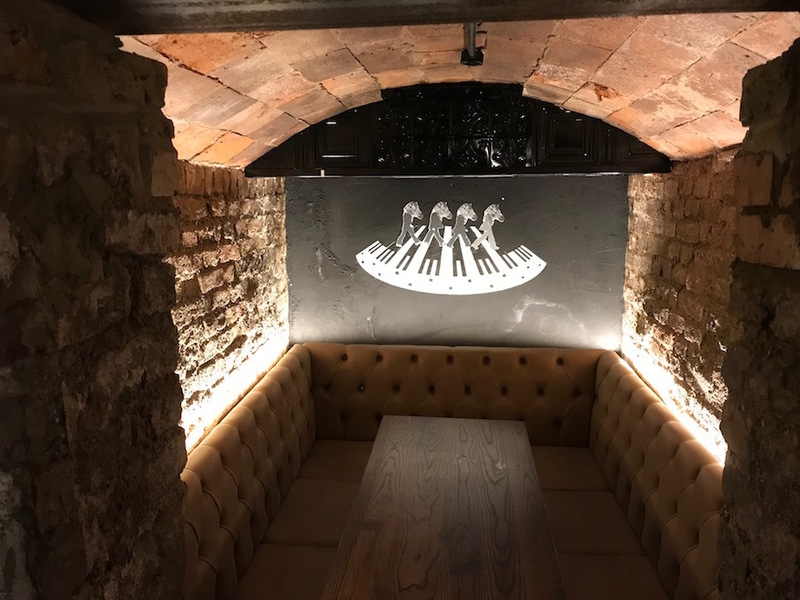 Those seeking food should check out the highly rated Formosa Dining Rooms at the back of the pub, which have a more modern, starker appearance. As you're eating, give a thought to codebreaker and computer pioneer Alan Turing, who was born on the other side of the wall. A blue plaque marks the spot. 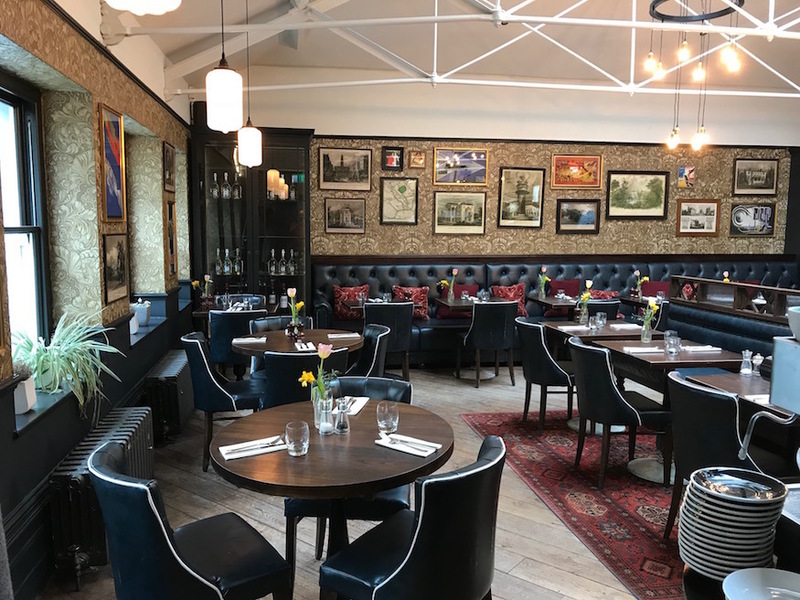 A recent refurbishment has spruced the place up a bit, without deleting the charm. 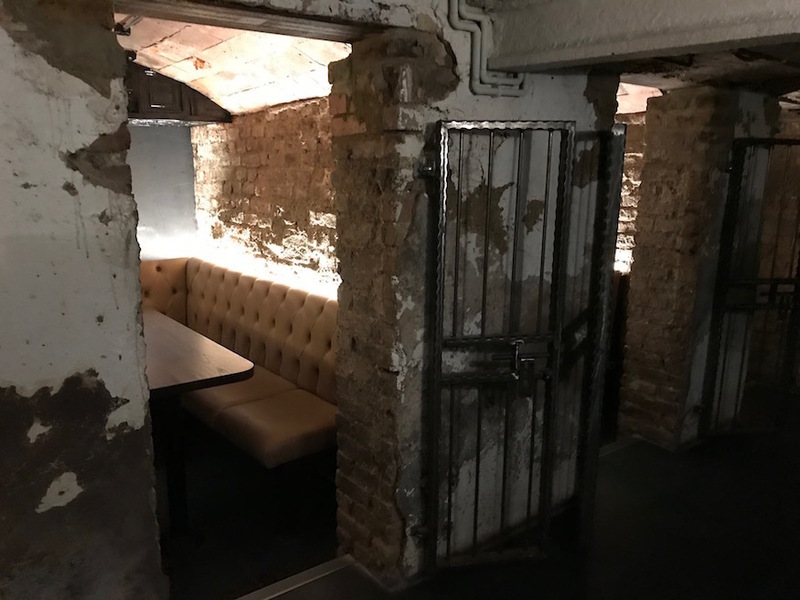 We were particularly enchanted by the cellar booths, which look like the perfect hideaway for a cold winter's night. On Facebook. On Twitter as @ThePrinceAlfred. Quiz night is Monday. 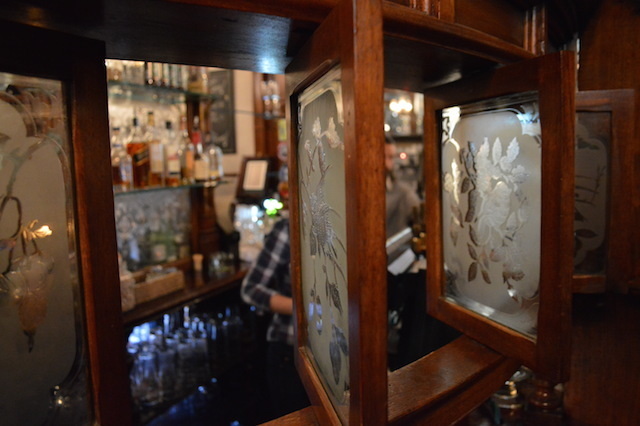 Snob screens - these were once used so that the customer and bar staff need not look at each other. 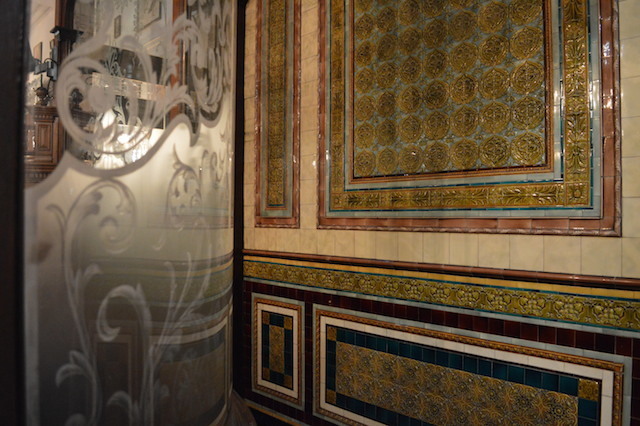 Glazed tiling on the entrance. In no way OTT interior decor. To get between the different bars, you must crouch down through these low apertures. These chaps can't quite figure it out. 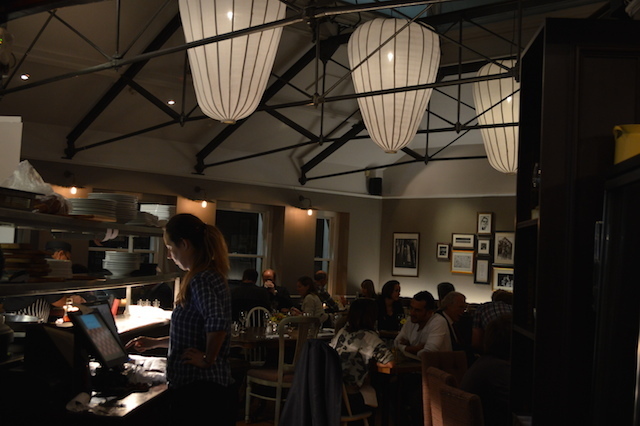 The Formosa dining rooms at the back are much less flamboyant. 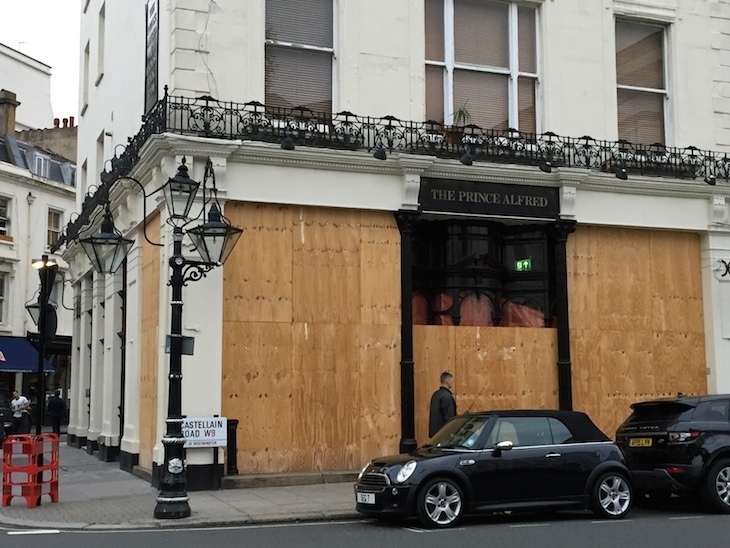 Boarded up in July 2015. Happily, it was only temporary while repair work was done to the ceiling.